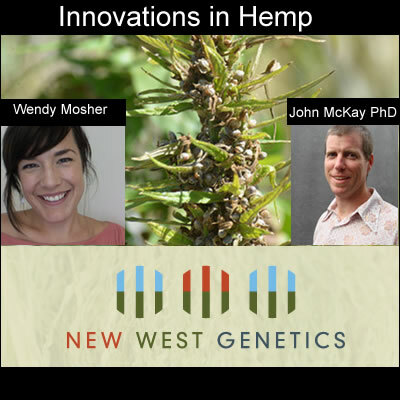 CannaInsider interviewed the founders of Colorado-based New West Genetics, Wendy Mosher, CEO and John McKay, Director of Genetics, who are married. The company aims to improve and develop industrial hemp as a viable crop for the United States, applying the most up-to-date technology to marker selected breeding projects. Its first products will include in chaff and seed, and the company offers custom breeding and genetics services.